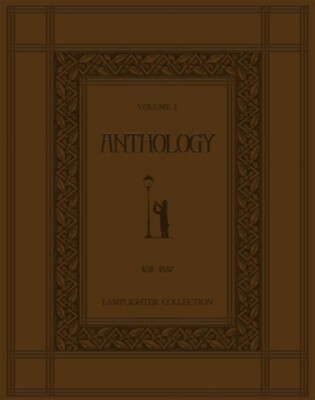 Anthology from Lamplighter is a collection of captivating and thought-provoking short stories that will encourage discussion and develop discernment in its readers. A year in the making, this first volume is intended to be enjoyed by the entire family. Its beautiful classic cover depicts the timeless nature of the stories to be shared. Of course, we've saved the best story for last, "Robert's Trust," but make sure you read the other stories in the collection first! So gather around, put up your feet, and allow the Lamplighter Anthology to shed light on truths that will dispel falsehood and defy the darkness of this secular age. It is my prayer that this work will serve as a weapon in our arsenal to fight the good fight of faith and to stand securely in the truth. 272 pages, hardcover. I'm the author/artist and I want to review Anthology.